Sony was not our largest customer for host adapters, but it was probably our most important. Sony was one of the founders of the Compact Disc (CD). Originally developed as a replacement for audio LP’s, it was clear that this format would be an excellent addition to storage media for a PC. The first CD-ROM drives appeared in 1985, but these were large, expensive devices, not the small compact drive you know today. The first CD-ROM drives that were practical for a Personal Computer became available in 1990. Sony and other Japanese manufacturers were using Future Domain and NCR host adapters primarily. When I went to visit Mr. Nakamura, the General Manager of the Sony CD-ROM division he was not happy with me. Again we were in a large room with maybe eight people from Sony, and four of us. Myself, Ritzko, Mark Zadeh, and two sales people from Tomen. At first Mr. Nakamura did not speak, he was observing. His number one in command said they would conduct the meeting in English. I immediately asked if everyone in the room was fluent in English through Ritzko. Some of the attendees said no. I then said I would prefer the meeting be held in Japanese. Mr. Nakamura smiled. Mr. Nakamura then said in perfect English that he would prefer the meeting in English, but we could use Japanese where understanding might be difficult. We had an excellent meeting. Sony was using our Host Adapter, and the adapters from Adaptec and NCR. All of them had some problems. I agreed to send an engineer to work directly with Sony to address all issues. As a result Sony packaged our adapter with all evaluation versions of their drives. In addition they recommended our adapter above all others. When Sony Pictures was developing Digital Theater System (DTS), the first non-analog system for feature films shown in theaters which included a CD-ROM and special controller for the audio portion, Future Domain adapters where used exclusively. Sony was a worldwide company and each country division decided how or if it would package adapters with CD-ROM drives. As a result Sony was not our largest corporate customer, but between the country divisions and resellers that packaged CD-ROM drives we were the preferred adapter for bundling. In addition since Sony was the leader in CD-ROM, their endorsement of our product was a key issue for all other CD-ROM manufacturers. From 1991 until July 1995 I would travel to Japan and Asia at least once a quarter. 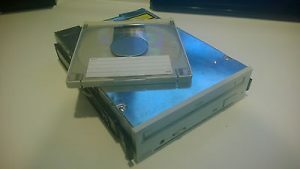 During this period we cemented our low cost host adapter as the choice for CD-ROM, Optical Disk, and scanner interface. All technologies pioneered by the Japanese. We did this by keeping our hardware focused on the need for low cost but high reliability, and by providing software that no other host adapter company could offer.